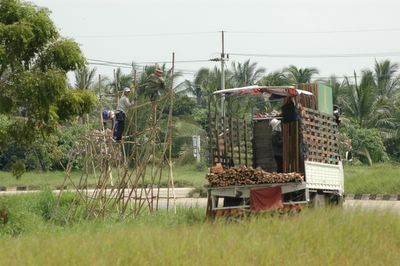 Making a poster along the road side in Bang Sai. 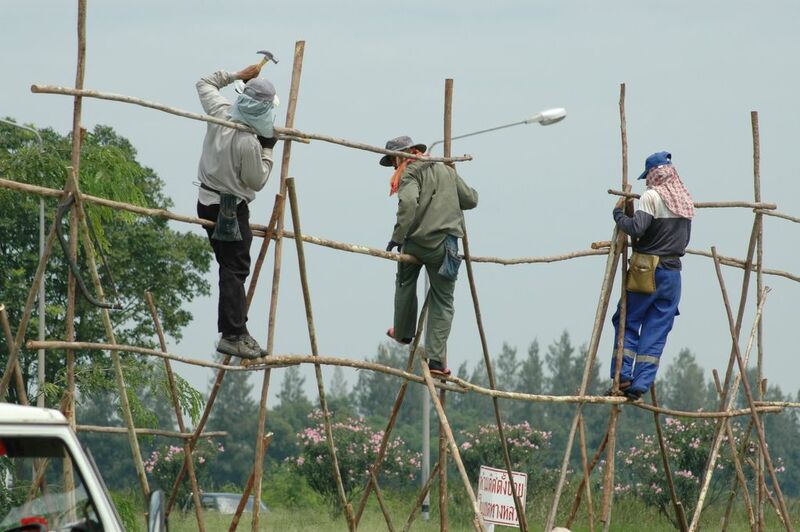 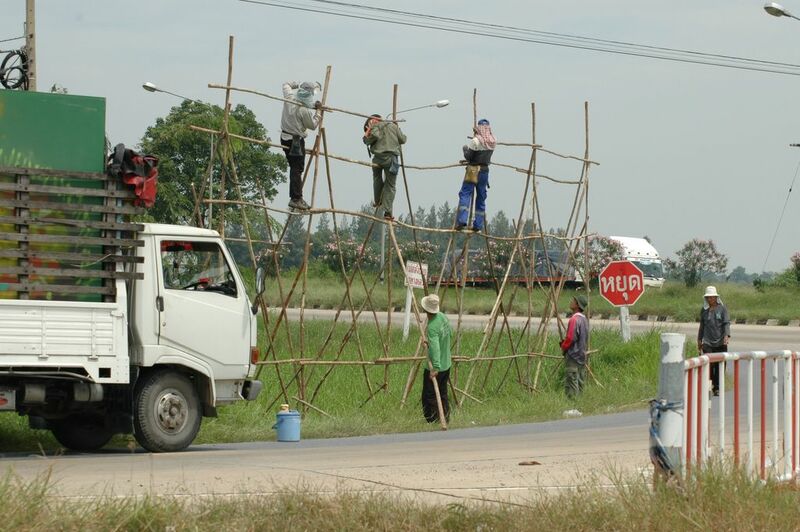 The safety regulations are not always in focus here in Thailand. 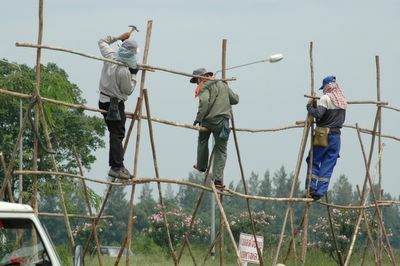 The workers are making a sign poster in Bang Sai. 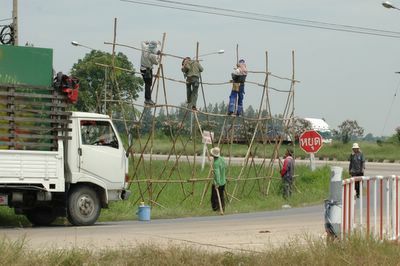 The workers making a sign poster in Bang Sai.